Title : What Are We Doing Here? Her 1980 novel, Housekeeping, won a Hemingway Foundation/PEN Award for best first novel and was nominated for the Pulitzer Prize for Fiction. Her second novel, Gilead, was acclaimed by critics and received the 2005 Pulitzer Prize for Fiction, the 2004 National Book Critics Circle Award for Fiction, and the 2005 Ambassador Book Award. 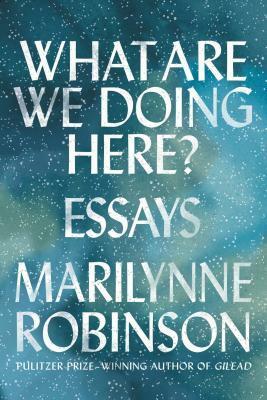 Her third novel, Home, was published in 2008 and was nominated for both the National Book Award and the National Book Critics Circle Award; it won the Orange Prize.